Madison Square Garden Entertainment has announced the 2012 audition cites and dates for the Rockettes Summer Intensive summer training program at Radio City Music Hall for local area aspiring dancers. Auditions in Boston are scheduled for December 27. Now entering its 11th year, the Rockettes Summer Intensive offers aspiring dancers the unique opportunity to train with the world-famous Rockettes as well as a Rockettes Director / Choreographer and learn their signature precision dance technique. Acceptance into the Rockettes Summer Intensive is a crucial stepping stone for Rockette hopefuls who aspire to one day dance with the legendary company. Since the inception of the Summer Intensive in 2001, 47 dancers who have gone through the program have gone on to become members of the world-famous Rockettes. The Rockettes Summer Intensive is a weeklong program, running June 24 - August 3, 2012, and hosted at Radio City Music Hall in the actual studios where the Rockettes rehearse for their starring roles in the "Radio City Christmas Spectacular." Dancers accepted into the program rehearse daily from 9:30 a.m. to 5:30 p.m., with group education seminars in the evenings. This distinctive style transcends a multitude of dance disciplines including jazz, tap, musical theater, lyrical, and of course the legendary Rockettes kick line. The curriculum focuses on original choreography and formations from the Rockette repertoire that will culminate in a student showcase. 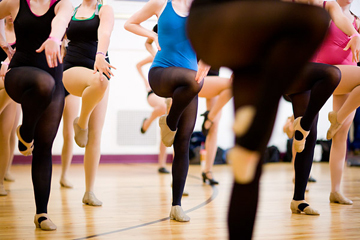 To be considered for the Rockettes Summer Intensive, dancers must be at least 14 years of age (by June 22, 2012) with a minimum of 5 years training in tap, jazz, and ballet. For exact audition times and locations, as well as more information on the Rockettes Summer Intensive, please visit Rockettes.com.